The following letter was sent yesterday to the Canadian Broadcasting Corporation (CBC) regarding their biased coverage of the Land Day massacre. This is just one example of the unbalanced reporting by the North American mainstream media on the Palestinian narrative. The letter will be hand delivered today, on April 6 during a solidarity vigil for Palestine at the Vancouver offices of CBC, Canada’s national public broadcaster. 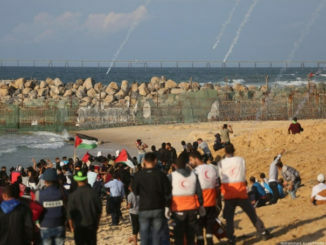 Also, your web article on March 30 from the AP ran with the subtitle:- “’Right of return’ mass sit-in organized by Hamas escalated into rock-slinging, tear gas firing” as if rocks and tear gas are more deadly than live ammunition! 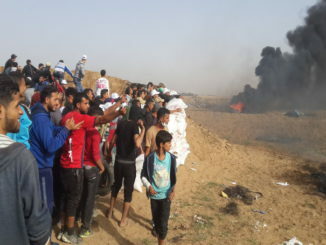 You would think that all this “rioting” “violence” and the “throwing of stones and Molotov cocktails” that you emphasized would have left some Israeli casualties as well, but no, we did not hear from your reporter or any other reporter about Israeli causalities because there were none. 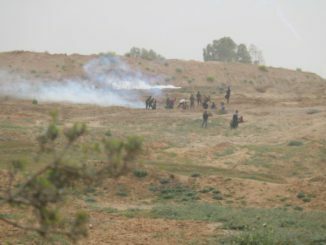 How about the reports from the Israeli Human Rights group, B’tselem, who not only warned in advance that the Israeli military were about to conduct a massacre, but have launched a new public campaign calling on Israeli soldiers to refuse such orders to shoot at unarmed protesters? How about the IDF tweet, later deleted, that bragged they “knew where every bullet landed”? How about Gideon Levy, from Israeli newspaper Haaretz, who coined the term Israel Massacre Forces after last Friday? Now, let’s move to language regarding the Palestinian refugees and how you followed the dictates of the Zionist lobby group “Honest Reporting”. There was an initial Derek Stoffel report that we can no longer find on the internet anywhere, except on the “Honest Reporting” website post. They complained in regards to this report, that “it’s false to claim that in the 1948 war that ‘hundreds of thousands of Palestinians were forced from their homes during the Israeli War of Independence in 1948…’”. They then dictated to you what is acceptable terminology by saying, “It’s accurate to say that they were ‘displaced,’ but conventional reportage dictates that journalists say that the Palestinians voluntarily ‘fled’ … It’s unfair to say that all were “forced from their homes…”. While they curiously did not object to the stated facts of what happened on Land Day 1976, they dictated to you that other news agencies call them Arabs and you should too. Israel calls its Palestinians citizens Arabs to deny the existence of the indigenous population of Palestine. On May 11/1949, Canada co-sponsored the U.N. General Assembly resolution 273 to admit Israel as a state to the U.N. on condition that Israel implements two resolutions – UN resolution 194 (the Right of Return), and UN resolution 181 (the Partition Plan). Israel never implemented these two resolutions in addition to hundreds of UN Security and General Assembly resolutions that have stayed on the shelves collecting dust for the past seventy years. Wouldn’t a sane person conclude that Israel has been the true security threat not only to the Palestinians and Arabs but also to the peoples of the world? – Hanna Kawas is Chairperson of the Canada Palestine Association and co-host of Voice of Palestine. He contributed this article to PalestineChronicle.com. He contributed this article to PalestineChronicle.com. Visit: http://www.cpavancouver.org. Excellent article. The CBC consistently learns to phrase its commentary to support the Israeli viewpoint. I must admit as a Canadian I have become somewhat immune to this and listen with only half an ear, expecting nothing better. It is great to have a reminder such as this from time to time. To extend it further, the CBC also supports whatever U.S. foreign policy line is provided on any given topic (except maybe NAFTA). And why would anyone believe the Al Jazeera version? Neither account should be trusted 100%. And when will PC do away with extreme language in its so called “articles”. As for references to “Arabs”, that was always the preferred word, by the Arabs themselves. It doesn’t make them more or less worthy but Israeli Arabs have always been known as just that. You’re entering into territory that is very, very difficult to combat, because of what the human resources people call the “sameness” problem. Unlike some outlets, the CBC is not supervised or controlled by some outside power. 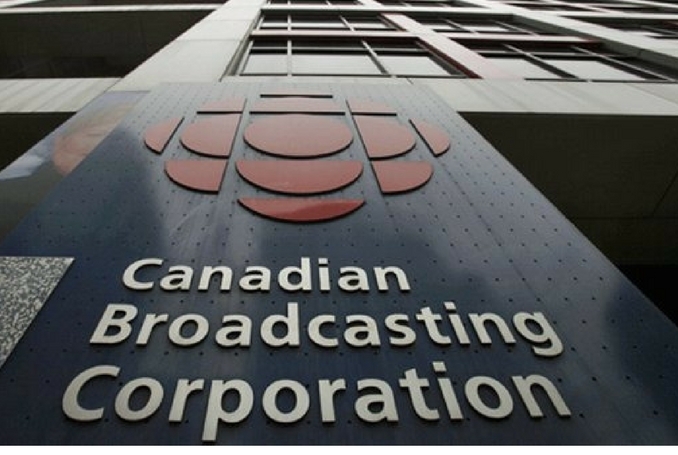 It’s controlled by the fact that the existing crop of CBC employees pick the next crop, and will always pick people who think like themselves. So whatever misconceptions they have, however they might depart from the truth, are embedded in the groupthink of the organization at the deepest level. I give up. You website won’t accept my comments. And they are even remotely controversial. CBC for real news has been hopeless for years. It does sports, domestic politics, science, books, and other tame subjects. International news does not exist. CBC sounds like re-writes of scripts from Langley Virginia. Its correspondent for the whole Middle East is a man residing in…Jerusalem. I can no longer stand to listen.